Some stories come to us through the character and it's clear what point of view the novel will be told from. Others come through an idea or a plot and the point-of-view character isn't as clear. And then there are the stories that need several points of view to be the most effective. Most of the time the point-of-view character is obvious, but I've written whole novels to later realize I had the wrong point-of-view character all along. Stories evolve, and it's not uncommon for one to surprise you and take you where you never expected to go. Or to have that tiny throw-away character turn out to be the hero after all. If you're faced with a story idea and you aren't sure what the best point of view to tell it from, try asking a few questions. These questions can also help if you have a novel that isn't quite working and you're not sure why. What character has the most to gain or lose? A character might be in the right position to tell the story, but if she doesn't have a goal and has nothing at stake, then why are readers seeing the story through her eyes? Goals give the point-of-view character reasons to act, and stakes make readers care if she achieves those goals or not. If the character just sits back and watches the story unfold, but never participates in what's going on, she might not be the right point of view for the novel. • Which character is driving the plot of the story? • Which character faces the most conflict? • Which character can't walk away without changing how the story unfolds? • Which character is the most interesting? What character is central to the climax of the novel? The whole point of a novel is to get to the end, so the climax is a pretty big deal. It's the resolution of whatever the protagonist has been trying to do all novel. So the point-of-view character is going to be involved in that ending in an equally big way. If a potential point-of-view character doesn't play a role in the climax, that's a red flag that you might not need to see her point of view. • Which character is actively involved in the resolution of the novel? • Which character has things at stake in the climax? • Which character has the most at stake in the end? • Which character will readers feel cheated by if they don't see how that story turns out? 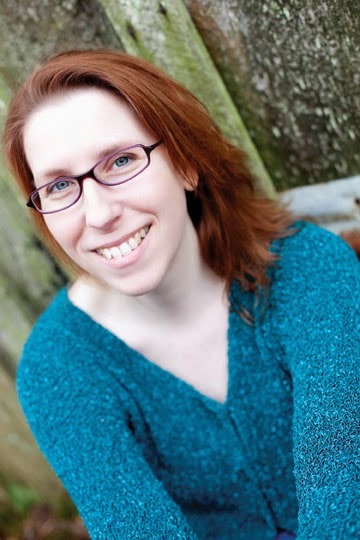 Giving a character a point of view is asking readers to invest time in her, so this character should be worthy of that. Seeing the story from her perspective should bring something valuable to the novel. If the only reason a character is a point-of-view character is because parts of the novel can’t be told any other way, or because the protagonist wouldn’t be able to be there, that’s a red flag that the character is only there to dump information. • Is the story bigger than one single point-of-view character? • Is this an ensemble cast that explores a larger theme or concept more than a single personal problem? • Are there aspects of the plot that require a second point of view to be fully understood? • Is the antagonist's point of view needed? More isn't always better, and the more characters you ask a reader to invest in, the more chances you have of losing the reader. Every point-of-view character has to be equally compelling and draw the reader in. Less interesting characters risk getting skimmed over to get back to the ones readers care about. If you're considering multiple points of view, look at the specific benefits each possible character brings to the story. • How might seeing this other perspective enhance the plot? • How might seeing this other perspective deepen the theme? • How might seeing this other perspective illustrate some aspect of the world? • Is this a character readers are going to want to follow? Sometimes it’s easier to identify what points of view are needed by what disappears if the story isn’t told from that perspective. Try looking at the story without that point-of-view character and seeing how the story changes. Also consider if the critical elements could be added to the protagonist's point of view, or that of another character. • Can a specific element or detail be merged with another character? • Can two point-of-view characters be merged? • Would losing that detail or element actually raise the tension or mystery of the story? If there are too many plots unfolding at once, the novel can feel disjointed and have too many things going on. Each plotline should connect to the core conflict in some way and work with the other plots and subplots to tell a complete story. • How does each point-of-view character's story arc affect the main plot? • Are there any story arcs that overlap or feel repetitious? • Are there any story arcs that overlap in a good way that increases the stakes or conflict? • Does every point-of-view character feel like a piece of the same novel, or do they feel like each one could have their own novel? Finding the right character to tell your story can make or break that story. A great plot might draw a reader to a book, but the characters keep them reading. It's worth taking a little time to ensure you have the best point-of-view characters for your novel. Have you ever written a novel with the wrong point-of-view character? Or points of view you didn't need? Looking for tips on planning or revising your novel? 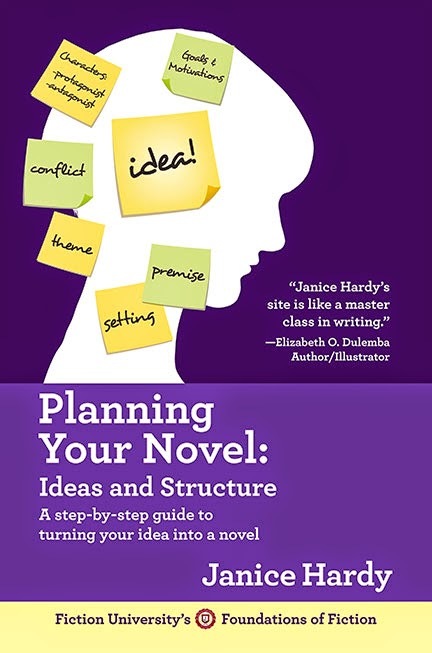 Check out my newest book Planning Your Novel: Ideas and Structure, a series of self-guided workshops that help you turn your idea into a novel. Planning Your Novel: Ideas and Structure takes you step-by-step through finding and developing ideas, brainstorming stories, and crafting a solid plan for your novel—including a one-sentence pitch, summary hook blurb, and working synopsis. Over 100 different exercises lead you through the novel-planning process, with ten workshops that build upon each other to flesh out your idea as much or as little as you need to do to start writing. I'm reading Janice's non fiction book right now and it's awesome! Thanks for the tips, Janice. Thank you so much for this article! I shared it on social media and will definitely be using it as I plan my next book, likely my first foray into another POV than first person. And I'm proof that blogging can gain you fans. I bought your plotting book and subscribed to your fiction university posts all because of this one blog post. Thank you again so much! Aw, thanks! I really appreciate that :) Hope you enjoy the book.